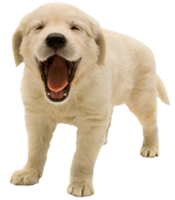 In your search for a Rochester Hills Pet Hospital, we believe you should expect high quality care as well as great service. Our goal has been to assemble a veterinary health care team committed to providing exceptional client service and veterinary health care. Our commitment to you is to continue to offer our world class service and a state of the art veterinary facility. Dr. Bayne may refer you to a specialist, veterinarians who have completed advanced studies in specialties such as internal medicine, surgery, and emergency care, if your pet must undergo a procedure that requires more precise knowledge and experience.